He perceives the Absolute, the All, within himself. 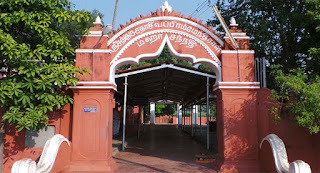 Brahmendral was born in Nerur, near Karur, situated by River Cauvery, to a Vedic scholar named Moksha Somasundara Avadhani, a Telugu neogi brahmin. As he was born as a result of Avadhanigal praying to Rama and Krishna and his wife, Parvathi, praying to Shiva, he was named Sivaramakrishna. He had his early education in traditional subjects under Ramabhadra Dikshitar who lived in Tiruvisainallur. Even from young age he developed vairagyam towards worldly matters. His parents thought that marriage and its responsibilities would make him behave normal like any other young man of his age. He tried to resist, but being a dutiful son he yielded to parents’ persuasions and got married at the age of seventeen. Sivaramakrishna did not change after his marriage as his parents assumed. The vairagya and quest for knowledge continued to be deep rooted in him. In the meanwhile his wife came of age and their first night was arranged on a grand scale in his in-law’s house. Sivaramakrishna feeling very hungry tried to enter the kitchen to get something to eat. His mother-in-law tried to keep him out of the kitchen by saying “You don’t have to wait too long for dinner. Please wait. Don’t step in”. This sparked a turning point in his life. The innocent casual words ‘Don’t step in” conveyed a deeper meaning to him as “Don’t step into Grahastasram”. He made a fast decision and shot out of the house never to return. He went to Tiruvisainallur and while wandering aimlessly in the woods nearby, he met his Guru Sri Paramasivendra Saraswathi who initiated young Sivaramakrishna into Sanyasa and named him “Sadasiva Brahmendra”. Sadasiva Brahmendra i.e.Brahmendral served ardently the guru and composed many kirtanas and wrote commentaries on Brahma Sutras and Patanjali Yoga Sutras. He composed poetic works Navamani mala , Guru rathna maalika and Dakshinamurthi dhyana in tribute to the Guru. While in a sense all his poems are in adoration of the Guru, whom he looked upon as his God, the short Navamani-mala is specifically in praise of Paramasivendra, who, in his words, “from the purest compassion bestowed on me the dazzling gem of the Athma Vidya”. He was a keen debater and never lost an opportunity to challenge pundits to debate. One pundit who argued with him and lost felt humiliated and he complained against him to his Guru. Guru who was also feeling he was becoming too talkative gently chided him “Sadasiva! When will you learn to be quiet?”. He promptly replied, “Right now, Master”. He fell into silence and remained silent and resumed composing and singing kirtanas only after being told by Sridhar Ayyaval at a later date, that his Mounam should not come in the way of singing about Lord. He gradually withdrew from the world, introspected and plunged into intense penance. He discarded all norms of accepted behaviour, wandered naked aimlessly in the hills and along the banks of Cauvery. He looked wild and insane. When someone reported to Sri Paramashivendra that his disciple had gone insane, the Guru realized he was enjoying the bliss of Athma Jnanam and was delighted and exclaimed “Will I ever be so fortunate!” He realized that his disciple was now an Avadhuta. Brahmendral remained in that state, beyond body consciousness, not bound by ordinary social conventions and worldly concerns for a long period. He spent his time mostly in secluded places in Cauvery banks as an Avadhuta, only occasionally emerging out. His state is best described in his own words as given in his work Athma Vidya Vilasa, a poetic work running into 62 verses in Sanskrit, in which the characteristics of an Avadhuta, his state of mind, his attitude and behaviour is described. 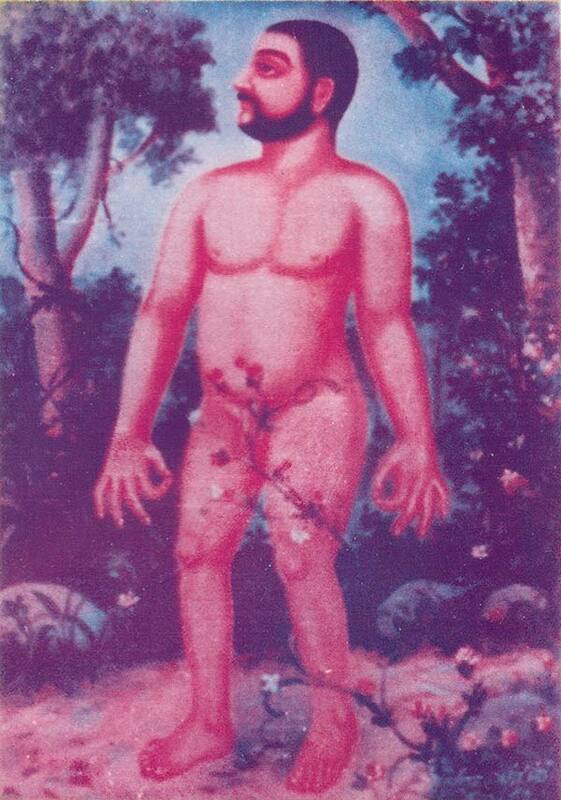 It describes the ways of the Avadhuta, as one who is beyond the pale of social norms , beyond Dharma , beyond good and evil, one who has discarded scriptures, Sastras, rituals or even the disciplines prescribed for Sanyasis, one who has gone beyond the bodily awareness, one who has realized the Self and is immersed in the bliss of Self-realization. The text which undoubtedly is a product of Brahmendral’s experience is also a sublime text on Advaita and remained the most favourite spiritual text of Sri Chandrasekhara Bharathi Swami the 34th Jagadguru of Sringeri Sharadha Peetam. The Swami, who parted with all his meagre possessions a week before his passing away, kept his copy of Athma Vidya Vilasa till end. A few incidents which illustrate these qualities and his rare show of siddhis, we shall see. One afternoon Brahmendral was relaxing beside a heap of grains. He was lost in his meditation unmindful of the passing of time. In the evening, the farmer came there. Mistaking Brahmendral for a thief he raised his stick to hit him. But his raised hand, he could not bring down nor could he move. He remained as a statue with a raised hand for the whole night. The next morning, Brahmendral came to his senses and smiled at the farmer. Then only he came back to life. Realizing the greatness of Brahmendral, he fell at his feet and asked for his forgiveness. But Brahmendral being beyond all these feelings, walked away silently with a smile. Once he was sitting on the banks of Cauvery River and was lost in Samadhi. He was cut off from the world outside. Suddenly it started raining heavily. People advised him to move but their words did not reach his ears, being dead to the outside world, with his mind and senses turned inward. He was washed away into the river and the people took him to be dead and were feeling sorry for his demise. Three months later when a farmer was loading his cart with sand from the banks, he noticed blood stains in the spade. When he carefully examined the sand bank he saw Brahmendral seated in the same meditating pose as he was three months before. When the news spread people started to come and offer prayers to him. Then in the midst of their prayers he came to his senses and smiling at the people and singing a kirtana, he simply walked away. On one occasion an orthodox Brahmin criticised his silent habits as a pretext and his Avadhuta-life as a drama. Brahmendral simply smiled and silently moved to a dhobi who was near him and inscribed a few letters on his tongue. The illiterate dhobi chanted Vedic mantras that described the life-style of a Yogi. The humbled Brahmin, never again crossed his path. He was once walking through a residential area where Muslims lived. They felt it was an insult to their womenfolk that one should be walking naked in that street. One of the Muslims confronted him. As Brahmendral neither acknowledged nor replied he ruthlessly cut off one hand which fell down. But Brahmendral was nonchalantly walking ahead with blood flowing down the shoulder, as if nothing had happened. The assailant could not believe his eyes. He rushed to him with the severed hand and handed it. Brahmendral coolly placed it at the severed place and pressed it. It clung to the shoulder as before. Then he continued walking without any conversation. During his last days he was settled in Nerur. He always liked children for their unspoilt innocence. Once a few children expressed their desire to see a fair in Madurai. He asked them to close their eyes. When they opened their eyes they were at the fair in Madurai. After they went round the fair, he asked them to close their eyes again. This time when they opened their eyes they were back in Nerur. When the parents learnt about it, this became the talk of the town. Next day a sceptic youth approached him and asked that he also be taken to Madurai. The same way he was transported to Madurai. On reaching there, he could not find Brahmendral anywhere. So he had to make it back the hard way by walk. Brahmendral lived in Nerur at the time he shed his mortal body. Before his death he sent a message to his devotees that his days were over. To the grief-stricken devotees his last message before laying down life was written as the kirtana “‘Sarvam Brahmamayam – Re Re”. His Samadhi in Nerur is now a shrine to a large number of devotees. 32nd Jagadguru of Sringeri Sharadha Peetam, Sri Narasimha Bharathi arranged for the upkeep and maintenance of Brahmendral’s Samadhi. His successor Sri Satchidananda Sivabhinava Narasimha Bharathi was an ardent admirer and devotee of Brahmendral and he had composed two poetic works Sadasivendra Stuthi and Sadasiva Pancharathna in his praise. His successor, whose attachment to Brahmendral’s work Athma Vidya Vilasa we saw earlier, emulated Brahmendral and evolved into an Avadhuta in his later years. The Aradhana at his Samadhi in Nerur is celebrated annually on the Jyeshta Krishna Paksha Dasami i.e. during May every year. Hariom Very good collection. I am looking for a comic (picture book) on Bhodendra Saraswathi Swamigal, sridhara Ayyaval, Sadasiva Brahmendra, etc. Pl help.